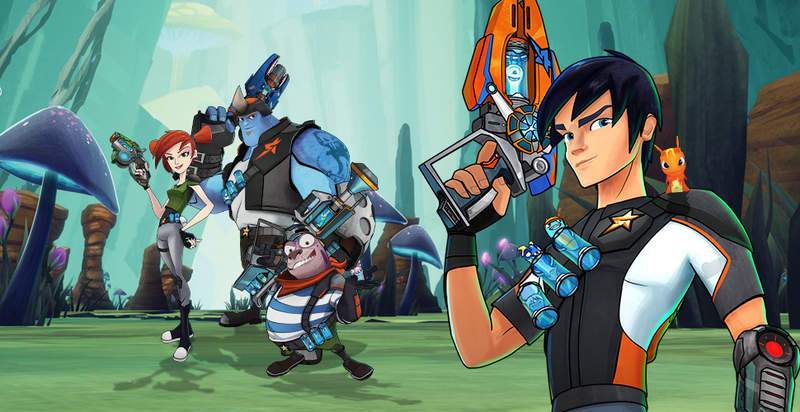 Slugterra is an epic sci-fi comedy adventure set deep underground, where the ammo’s alive and only the quick survive! In this luminous, high-tech, underground world every cavern holds a new adventure, new battle and weird little slugs to be discovered! Only by collecting, training and dueling with little critters called SLUGS can Eli and his team hope to defeat the forces of evil. Did we mention the part where the slugs transform into powerful magical beasts? That part’s awesome. The story follows Eli and his crew as they explore the caverns, challenge rivals and each other to friendly duels, upgrade their cool gear, and generally have a blast in this never-before-imagined underground world! But there is a very real threat to the world and the slugs; Dr. Blakk is seeking to “ghoul” the slugs, transforming them into feral mindless weapons! No one has been able to stand up to Blakk’s powerful slugs and army of henchmen… until now.